The staff picked 2015 Co-Op GOTY, Warhammer: End Times - Vermintide, is getting some new content, in both the free and paid variety. The free bit will include a new mode that should be familiar to anyone who's played a co-op game the past few years, while the paid content adds a new map for said mode. The new mode is a horde mode, called "The Last Stand" (not to be confused with the same mode in Dawn of War 2: Retribution). Your plucky band of heroes will be challenged to fight off as many waves of Skaven before you (ultimately) perish. The mode will include one map for players to enjoy, and all of that will be free. Should you wish to expand your Last Stand horizons, however, then developer Fatshark will also be offering an additional map that you can purchase. 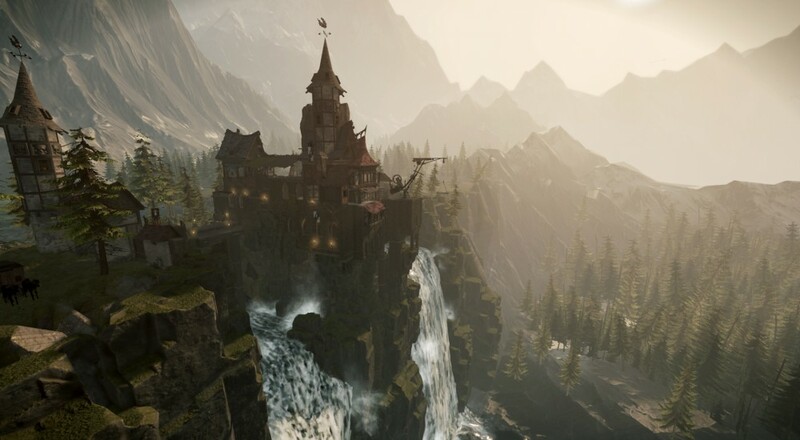 The map is called "Schluesselschloss" and will be set outside of the town of Ubersreik overlooking a waterfall. Fortunately, not everyone will have to buy this map in order to use it. If just one of your party members owns the new location, then the map will be available to everyone in that party when setting up a Last Stand match. No price point for the paid DLC or set date for when all the content should be released, though the developer says in the announcement post it should be sometime by the end of February.